Our core technologies are precision processing technologies, high-mix low-volume production technologies, and equipment design technologies. 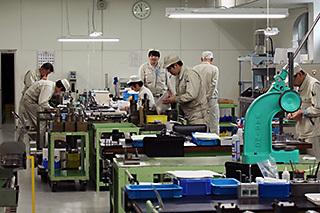 In the field of precision gear pumps for synthetic fiber manufacturing equipment we already command top results and market position in Japan. 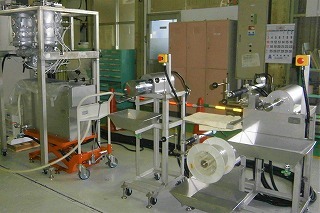 Production facilities containing Kyowa Fine-Tech products are widely used worldwide. Alongside these results, we are also actively engaged in applying our technologies to the environmental and medical fields. We are establishing a track record of results in cutting edge fields through the manufacture of devices such as pollution prevention devices with embedded synthetic fiber reverse osmosis membrane filters, and, in the medical field, dialysis machines. By performing everything in-house, including not only design but also can manufacturing, machine processing, precision machining and polishing, assembly, and inspection, we are developing new technologies through consultation between technical personnel. 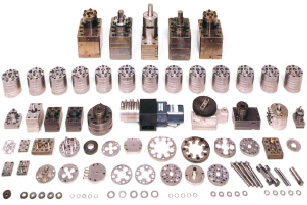 Kyowa Fine Tech's multiport gear pumps deliver specific volumes of liquid from multiple discharge ports using a single gear pump, reducing the number of motors involved and greatly decreasing power consumption. We manufacture pumps which can withstand pressure and viscosity variations, providing stable liquid delivery even at high temperatures of up to 450°C. 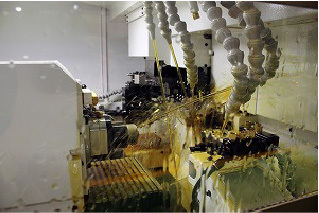 Corrosive resistant materials can be used when required, making it possible to set up highly stable production lines.